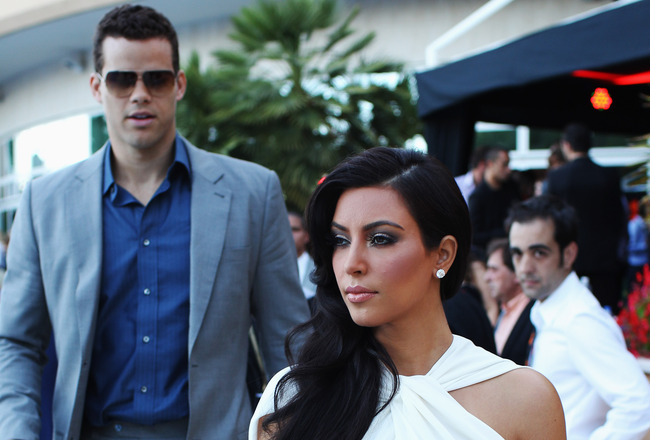 Despite Kim Kardashian's pressing for a divorce, Kris Humphries deeply believes their 72-day marriage should be annulled and he won't give up the fight, a source tells cb2u. "Kris only wants an annulment," says the source close to Humphries. "He never wanted to be married more than once and he feels like she cheated him out of the chance to have a real, loving marriage." The Brooklyn Nets forward is also not sympathetic to Kardashian's pleas to end the battle for the sake of the baby she's having with boyfriend Kanye West, adds the source. "He feels that even if she's pregnant, she still has to deal with the mess she made," the source says. "He thinks their entire marriage was a fraud, and he's not going to just give up because of the situation." Kim Kardashian’s desperate plea to a judge this week to end her marriage to Kris Humphries will have been in vain, if her ex-lover has his way that is. Kardashian, who says she's due to deliver in early July, is asking a judge to start a divorce trial as soon as possible or at the very least to have their marriage legally dissolved while they litigate other issues. "There was no fraud on my part," she says in papers filed last month in L.A. Superior Court. "I wish this issue to be tried immediately so that this false claim can be put to rest and I can move on with my life."